Introduction of Improved Pigeonpea Production Technology (IPPT) in the state of Odisha, India, has increased women’s participation by 34%, more than doubled net incomes from ₹5,019 per ha to ₹11,941 per ha, and enhanced productivity from 522 kg per ha for the landraces to 764 kg per ha for the improved varieties. Around 26,827 smallholder farmers, including 1,947 women, benefited from ICRISAT’s interventions. ICRISAT has been implementing the project ‘Introduction and Expansion of Improved Pigeonpea (Arhar) Production Technology in Rainfed Upland Ecosystems of Odisha’. Funded by the Department of Agriculture and Food Production, Government of Odisha, India, through the Rashtriya Krishi Vikas Yojana (RKVY), the project was launched in August 2011. It is currently being implemented in five districts in the state – Rayagada, Kalahandi, Bolangir, Nuapada and Boudh. During the 3-year project period the benefit gained was ₹ 406 million against the total investment of ₹ 72.6 million, an increase of more than 400%. A spillover effect was also observed wherein farmers outside the intervention districts also adopted the technology. In order to enhance the value chain, three village-level dal mills (including polisher and generator) and three spiral seed cleaners were supplied; and seed storage facilities enhanced with the construction of a 25 ton warehouse at Rayagada and a 100 ton warehouse at Kalahandi. The ‘Krishi Karman Award for Progressive Farmers’ bestowed by President of India Shri Pranab Mukherjee, on Mr Pradip Kumar Panda a farmer from Raygada, is a testimony to the success of the project. This award, given on 10 February 2014, is a first for Odisha particularly in pigeonpea cultivation. The project increased women’s participation especially in the districts of Bolangir and Nuapada. Obtaining better yield enhanced the interest of women farmers in pigeonpea cultivation. The tribal communities in Rayagada considered the project as an entry point for greater participation of women. Farmers felt that technologies like line sowing and improved seed storage production resulted in greater participation of women especially among tribal women. Owing to the success achieved so far, Government of Odisha officials have suggested inclusion of new districts in the state under the project. A delegation of RKVY officials visited ICRISAT on 11-14 August to review the progress of the project. 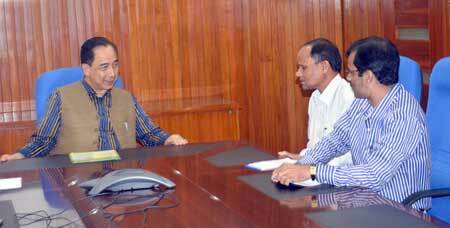 Expressing satisfaction over the project activities, the officials sought ICRISAT’s assistance in enhancing pigeonpea and chickpea cultivation in the state. ICRISAT Director General Dr William D Dar suggested a statewide soil health mapping exercise for a clear picture of nutrient status and remedies for deficiencies. He highlighted the success stories in Karnataka and Andhra Pradesh states where there has been substantial increase in production and productivity of the rainfed crops through the interventions under the Bhoochetana project. The team also visited the super-early pigeonpea, hybrid seed production. They expressed interest to test the super-early pigeonpea materials in Odisha. The visiting team included Mr Gangadhar Das, Joint Secretary I/C, Mr BK Harichandan, State Consultant, Mr BK Dey, Agronomist and Dr Saroj Das, Deputy Director-Pulses, and Mr Sarat Tripathy, State Co-coordinator. Drs Myer Mula, Rosana Mula, C V Sameer Kumar and P M Gaur made various presentations to the visiting officials. Dr CLL Gowda, Deputy Director General-Research, thanked the RKVY team for their support. 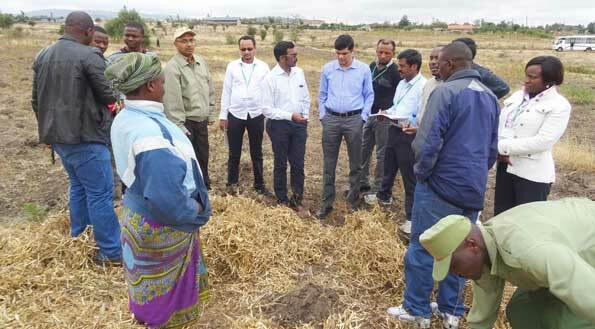 This activity was undertaken as part of the CGIAR Research Program on Grain Legumes. Nigeria is exploring the use of sorghum in place of maize in poultry feed. This move will not only make poultry feed cheaper, but also overcome the problem of short supply of maize. The poultry industry in Nigeria needs about 3 million ton of maize as ingredient for feed, but the country produces only 2 million ton. 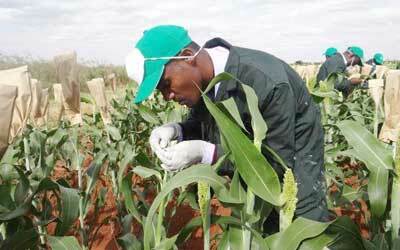 Government representatives, scientists, and farmers see the need for Nigeria, the third largest sorghum producer in the world, to diversify the use of sorghum to increase commercial interest. This was acknowledged at the one-day stakeholder workshop on the use of sorghum grains in poultry feeds, organized by ICRISAT-Nigeria. The meet was organized under the sorghum transformation value chain of the Agricultural Transformation Agenda. Members of Nigeria’s House of Representatives recently undertook a study tour to Sudan where they found that most of the poultry feed was sorghum-based. It is expected that the production of sorghum in Nigeria will increase arising from the work of ICRISAT and other national partners. 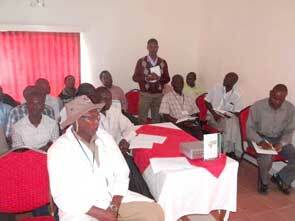 Workshop participants agreed that the potential demand of sorghum for poultry feed will absorb the increased production. At the workshop, Professor E B Sonaiya, Team leader of the Poultry Value Chain briefed the participants on the need for a substitute to maize while Mr Munir Danagundi, Vice Chair of the House Committee on Agriculture, shared the details of the study tour to Sudan. Drs Hakeem A Ajeigbe and Ijantiku I Angarawai from ICRISAT- Nigeria made a presentation on the pros and cons of the use of sorghum in poultry feed while Dr Salissou Issa of Institut National de la Recherche Agronomique du Niger (INRAN)-Niamey presented on similar activities in Niger. The workshop was held at the Center for Dryland Agriculture (CDA), Bayero University, Kano, on 5 August. It was inaugurated by Mr Damilola Eniayeju, Director of Agriculture, Federal Ministry of Agriculture and Rural Development. Other participants included the Chairs and Secretaries of Poultry and Sorghum Farmers Associations of Nigeria, Bayero University staff, representatives of Kano State ministries, and the United States Agency for International Development (USAID) -MARKETS project. This activity was undertaken as part of the CGIAR Research Programs on Dryland Systems and on Dryland Cereals. The need for giving a spatial dimension to field research and the need to integrate multi-disciplinary information were highlighted at a training program on ‘Introduction to Applications of Remote Sensing and Geographical Information Systems (GIS)’ held at ICRISAT-Kenya. Participants from Ethiopia, Nairobi, Malawi, Zimbabwe and India were introduced to the concepts of remote sensing and GIS along with several applications, which are being used at ICRISAT. A hands-on training on using ArcGIS 10.1, ERDAS 2014 was conducted and a ground data collection training trip was organized. Special emphasis was laid on using remote sensing imagery for crop dominance mapping and monitoring using time series data. 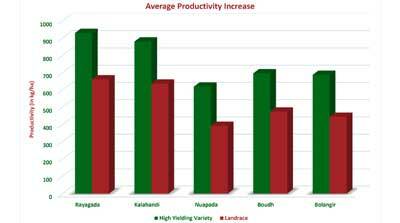 Analysis of land use and changes in land use over time was demonstrated using case studies. Spatial modeling using multiple sources of spatial information, especially the inclusion of socio-economic factors for identification of suitable sites for interventions and watershed prioritization was also demonstrated. Participants were provided with copies of recommended reading material and relevant published papers. Dr Anthony Michael Whitbread, Research Program Director, Resilient Dryland Systems, ICRISAT, Dr Murali Krishna Gumma, Scientist - Geographic Information System/Geospatial Science and Mr Irshad Ahmed facilitated the course for capacity building on Geospatial tools. 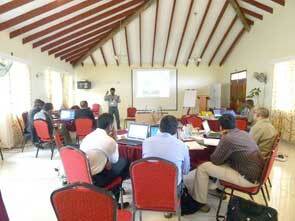 The activity, held in Nairobi from 4-8 August was undertaken as part of the CGIAR Research Program on Dryland Systems. ICRISAT-Kenya in collaboration with national partners organized a training course for technicians and breeders on emasculation techniques, breeding procedures in sorghums and millets, experimental designs, data collection and management. Twenty participants from four countries: Kenya, Uganda, Tanzania and Ethiopia involved in the day-to-day running of breeding programs in their respective countries were trained in the most efficient emasculation techniques. 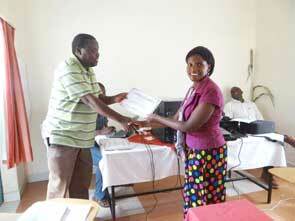 The training also helped improve their skills in designing experiments and nurseries, data collection and management. Mr Simiyu, Officer in-charge, Kenya Agricultural Research Institute (KARI) - Kiboko research station inaugurated the session held at KARI from 4-8 August. The training included theory and practical sessions that helped participants interact and share ideas and experiences from their respective countries. Participants were trained on; hand, hot water, plastic paper bag and chemical emasculation procedures. During the practical sessions, they were given a chance to perform emasculation procedures with assistance from the facilitators. The training also involved identification and management of biotic and abiotic stresses, general crop biology and standard agronomic practices. Participants emphasized the importance of increasing communication and sharing new information and germplasm to boost outputs in their respective programs. Dr Henry Fred Ojulong, Scientist - Breeding (Dryland Cereals), ICRISAT-Kenya, shared the details on the resources available in the integrated breeding platform with the participants. Drs Henry Ojulong, Eric Manyasa, Patrick Sheunda, Daniel Otwani and Joseph Kibuka of ICRISAT–Kenya facilitated the course. 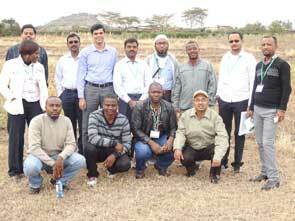 The training was conducted as part of the CGIAR Research Program on Dryland Cereals. The ‘Boot Camp on Business Development and Capital Raising’ conducted by ICRISAT’s Agribusiness and Innovation Platform (AIP) helped 24 prospects secure business incubation support and three prospects secured funding from participating banks. The camp was to help start-ups explore opportunities in agri-business, farm opportunities and food processing ventures, and provide a platform for sharing and exchange of ideas and innovations in availing incubation services, funding assistance and marketing support. “This boot camp gave me a deep insight on the tools necessary to analyze my idea and feel confident about it. This camp has helped build my network, work on new opportunities available in the agricultural sector and learn from my peers,” said, Mr Manjunath from Gulbarga, a participant. Mr SM Karuppanchetty, COO, Agri-Business Incubation (ABI) Program, ICRISAT-AIP, discussed the role of ICRISAT-AIP in promoting start-ups, agribusiness ventures and nurturing innovations. Dr Saikat Datta Mazumdar, COO, NutriPlus Knowledge (NPK) Program of ICRISAT-AIP presented the various opportunities that small and medium entrepreneurs can avail in various sectors of the rapidly growing food industry. He also highlighted on the schemes available under Ministry of Food Processing Industries, Government of India. Mr Aravazhi Selvaraj, COO, Innovation & Partnership (INP) Program of ICRISAT-AIP discussed the funding opportunities available from the Technopreneur Promotion Program of the Department of Scientific and Industrial Research, Government of India, banks and venture capitalists. The camp was held on 5 August at ICRISAT-India. 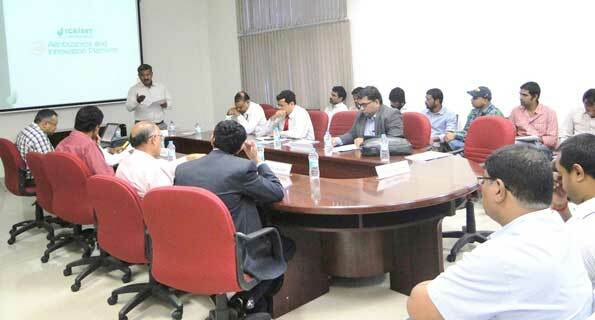 More than 40 agribusiness innovators and entrepreneurs from the Indian states of Andhra Pradesh, Telangana, and Karnataka, explored new opportunities in farm opportunities, food processing ventures, funding assistance and marketing support. The CGIAR Research Program on Water, Land and Ecosystems (WLE) invites Expressions of Interest (EOIs) from consortiums of partners to carry out research for development projects that will contribute to its demand driven research agenda in Nile Basin-East Africa region. WLE is seeking to develop a portfolio of innovative complementary projects that will promote agricultural and related investments, in a framework of sustainable ecosystem services that equitably meet the needs of women and men (food security, nutrition, higher incomes), while also promoting economic growth. 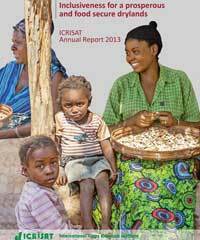 The ICRISAT 2013 Annual Report highlights “Inclusiveness” – which is our explicit goal to include the small holder farmers and disadvantaged groups like the women, along the entire agricultural research for development value chain. The United States Department of Agriculture (USDA) invites scientists, researchers and policymakers from developing and middle-income countries to apply for the Norman E Borlaug International Agricultural Science and Technology Fellowship Program. This is a training and collaborative research opportunity promoting food security and economic growth.